Almost as soon as October hits, it seems like people are already in a festive mood. Pumpkin spice latte, anyone? From Halloween to New Year’s, it is a constant stream of family gatherings and parties. And that inevitably means lots of (unhealthy) food. For most people, any healthy eating intentions go out the window for these two months. One of the challenges of the ketogenic diet – and many other diets – comes when you are attending social functions and parties. You want to spend quality time with your family and friends, but these events often surround eating food – and not usually the food you can eat while following a keto diet. 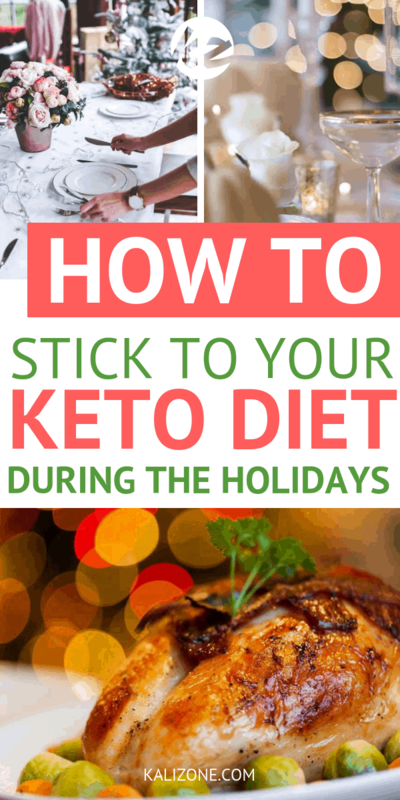 While it can be a little challenging at first, it is definitely possible to be keto during the holiday season! Here’s how to enjoy the holidays in style while staying in ketosis. Some traditional holiday dishes are very keto-friendly while others are very high in carbs. Whether you’re attending a holiday meal at someone else’s home, or you’re planning your own dinner, here are some suggestions for foods that will work well with the keto diet. Focus on vegetable side dishes that are low in carbs. Popular veggies during the holidays include cauliflower, cabbage, avocado, broccoli, and squash (certain squash is low carb). This is the great thing about holiday meals – most people serve plenty of veggies as healthy sides, so you can fill up your plate with them, and still enjoy a meal with your family and friends. Organically sourced meat is perfectly suitable for a keto diet. Try to choose grass-fed poultry and meat for your meal as much as possible. If this isn’t available and you can’t bring a meat dish of your own, just choose a little less meat, and a little more of the veggies. 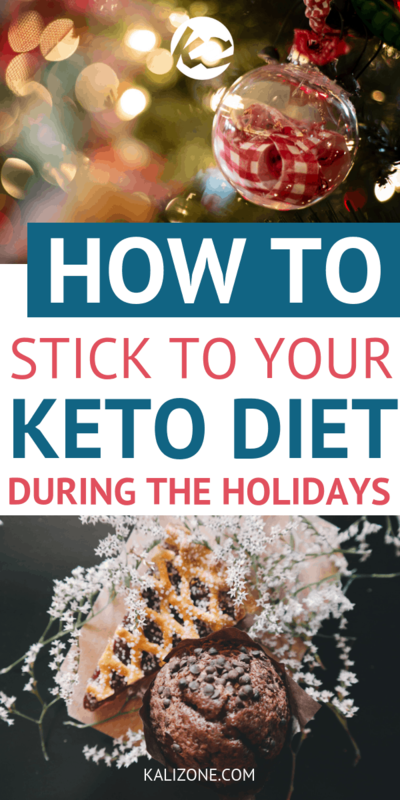 With a little creativity, you can still make your favorite holiday dishes without breaking your keto diet. After all, the keto diet isn’t very restrictive once you learn a reliable system to replicate your favorite foods. Here’s a quick overview of ingredient substitutions you can use during your holiday meal planning plus ideas for making holiday classics. When you are cooking and baking holiday treats, most recipes are going to ask for flour or bread crumbs. Since these are not allowed on the keto diet, you will need to look for a good alternative. Instead of using traditional all-purpose flour, try using either coconut or almond flour. It will be a slightly different texture, but works great in many recipes. A good alternative for bread crumbs is to use ground flax meal. If you have been on keto for a while, you are probably already accustomed to using high-fat dairy options, or skipping the cow’s milk and other dairy products entirely and using dairy alternatives instead. For your holiday recipes, continue with this tradition, using nut milk like almond milk or cashew milk instead. Some other options include coconut milk or using coconut cream. For your sweets during the holiday season, you won’t be able to use white table sugar or brown sugar, but that doesn’t mean you can’t make them sweet! Instead of sugar, try sweetener alternatives like stevia or erythritol. Lastly, if you really want a bread side for your holiday dinner, try making a low-carb bread with almond or coconut flour. When you aren’t hosting your own holiday party, it can get a little tricky and feel intimidating. However, don’t let this discourage you from spending time with family and loved one during the season. 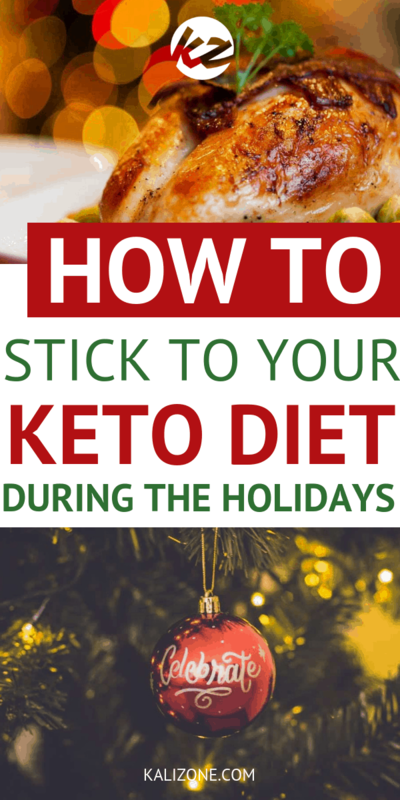 Here are some easy ways to survive the holiday parties while staying keto, and actually enjoy yourself. When attending dinner at someone else’s home for the holidays, it’s okay to give them a head’s up about your dietary restrictions. Many people are now used to accommodating diets like gluten-free and vegan and will at least be willing to make minor changes to the menu or offer alternatives that will be appropriate for your diet. Of course, others may not be willing to make changes to their time-honored recipes, in which case you can consider bringing a few dishes to share. Eating your veggies first will serve a few purposes at holiday parties. To start with, it fills you up so that you are not starving when dinner starts, and really struggling with saying no to stuffing and rolls. This also makes you feel like you are joining in with the rest of your family by eating along with them, even though you are still eating the keto-approved foods. This is a personal decision, but if you really don’t want to say no to a loved one who worked hard on treats that are not keto-friendly, there are ways around it. To start with, you can add a small amount to your plate and just not eat it, or have a bite or two. Another option is to simply eat all other foods first, then if you still have a craving, eat a little nibble of mashed potatoes or pie. Believe it or not, there are plenty of holiday foods that can be turned into keto-friendly foods with just a few tweaks. 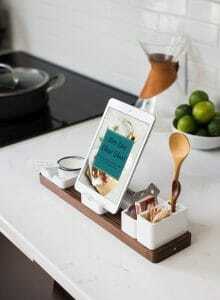 While these are not full recipes, they give you a good idea of substitutions you can try out in your own recipes. Traditional gravy which is often thickened with flour – this can bring the carbs to as much as 5g per teaspoon! Try xanthan gum instead. It will give the gravy the right consistency, without the unnecessary carbs. Just take care to avoid adding too much, or your gravy will end up like slime. Holiday stuffing can seem impossible to make keto friendly but it is possible! Here are a few ideas to make a tasty and beautiful grain-free stuffing. Combine fried bacon with chopped celery and almonds. Cook organic pork sausage and mushrooms and whisk everything together with chicken broth and sage. For a more traditional stuffing that tastes “real,” use almond flour. Heat ghee or avocado oil and cook onion, celery, mushrooms, and cranberries until soft. Season with salt, pepper, and poultry seasoning and transfer to a baking dish. Stir in almond flour and whisked eggs then bake until browned. Almond flour is great for creating the perfect stuffing texture. You can make a meat-free stuffing with celery, onion, and herbs sauteed in ghee. Add cranberries almond flour plus beaten eggs and bake until browned. This classic side dish goes with just about everything. You can skip the starch-heavy potatoes and dairy by using a popular alternative: cauliflower. Family members may not even know they aren’t eating mashed potatoes! Start by roasting a head of garlic for aroma and flavor. Chop one head of cauliflower into florets and boil until soft. Let the cauliflower cool and dry then combine it with almond milk, olive oil, thyme, rosemary, roasted garlic cloves, salt, and pepper in a food processor. Puree until smooth and serve with rosemary sprigs. We already know that while most fruit is out, on the keto diet, berries are low enough in sugar to be included in small amounts. Traditional cranberry sauce is often high in sugar. To make it keto-friendly, skip the sugar entirely and add a bit of sweetness with blueberries. The berries are cooked down with spices (including cinnamon, nutmeg, and allspice) to make a delicious, keto-cranberry sauce. Have a look at Low Carb Yum to see how it is done. 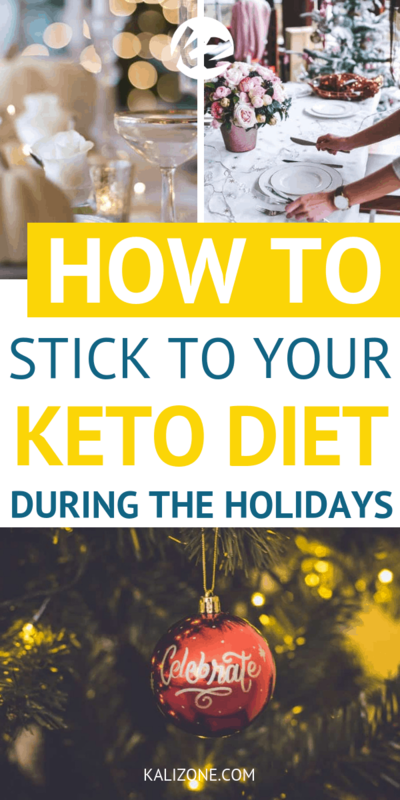 Did you enjoy How To Stick To The Keto Diet During The Holidays?